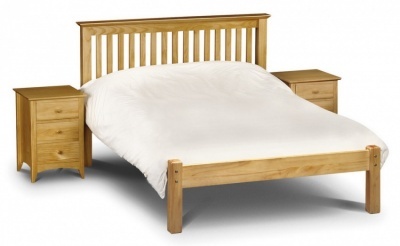 Solid pine king-size bed frame with solid head and foot boards bringing warmth and charm to your bedroom. 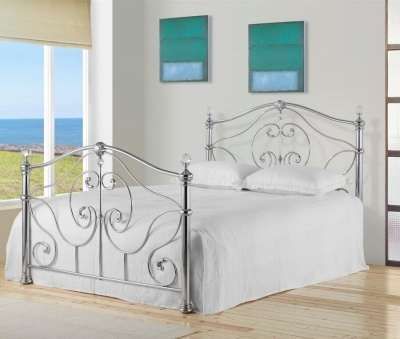 Black metal display pins add to the design detail of the Corona bed frame. Flat packed for home assembly, full easy to follow instructions included. 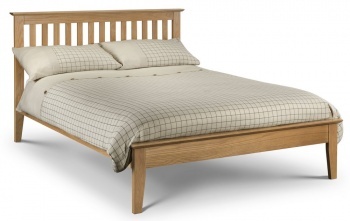 It typically takes one person 30 minutes to assemble the Corona 5' high end bedstead. Delivered in two boxes with the measurements: Box 1: H87 W1521 D607 mm. Box 2: H129 W2096 D222 mm.